Vanderbilt University Medical Center (VUMC) recently secured its third American Heart Association (AHA) Strategically Focused Research Network (SFRN) award to address the challenges of limb problems in peripheral artery disease (PAD). PAD is the most common cause of non-traumatic amputation affecting more than 8 million people nationwide and 200 million across the globe, and occurs when fatty deposits build up in the arteries supplying oxygen and blood to the arms, legs and feet. The entire circulatory system, including the heart and brain, are at risk when arteries are blocked and narrowed. It is also one of the major warning signs of atherosclerosis. VUMC researchers will collaborate with three other centers — University of Kentucky, Brigham and Women’s Hospital/Dartmouth and Northwestern University — to explore basic, clinical and population science approaches to prevent and treat PAD. “The overarching goal is the identification of patients with peripheral artery disease at risk for the development of intermittent claudication (pain with walking), critical limb ischemia (pain or non-healing sores), and amputation and the discovery of novel predictors, mechanisms and therapies to reduce these complications,” said Joshua Beckman, MD, MSc, the lead investigator on the project and director of the Section of Vascular Medicine. The first project, led by David Wasserman, PhD, will use animal models to understand how insulin gets glucose into muscles. Beckman will lead the translational arm of the project and enroll about 100 patients with PAD to study the specific mechanisms of skeletal muscle and microvessel dysfunction. The final project will leverage existing electronic health record cohorts at Vanderbilt and the Veterans Affairs Health Care System involving more than 6 million participants, including more than 500,000 with available genotype data to examine the clinical and genetic determinants of major adverse limb events among those with PAD. The major goal of this project will be to construct a decision support tool that helps providers identify PAD patients at greatest risk for major adverse limb events. 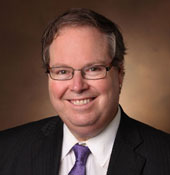 It will be directed by Matthew Freiberg, MD, MSc, professor of Medicine and director the Vanderbilt Center for Clinical Cardiovascular Outcomes Research and Trials Evaluation (V-C3REATE) and Quinn Wells, MD, assistant professor of Medicine and director of the Vanderbilt System for EMR-based Research in Cardiovascular Health (V-SERCH). Another aspect of Vanderbilt’s project includes a training component. “We are focused on training individuals at the edges,” said Joey Barnett, PhD, professor of Pharmacology. “We will recruit basic scientists, clinician investigators and population scientists to bring their particular expertise to the center and focus their training on bridging across all three areas. The SFRN provides the AHA with a mechanism to enhance the understanding of the causes, biology, pathophysiology and epidemiology of peripheral artery disease to develop more effective prevention and treatment methods with improved outcomes, added Beckman. Vanderbilt has received SFRN grants to fund two centers — one in preventing heart disease and stroke under the direction of David Harrison, MD, director of the Division of Clinical Pharmacology, and the other focusing on obesity led by Kevin Niswender, MD, PhD, associate professor of Medicine.